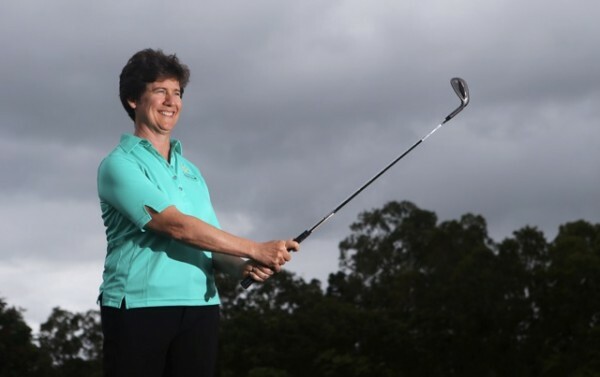 CAIRNS Golf Club’s past president Paul Chirio says the Tropical North Queensland club is in safe hands following the appointment of Nerida Wilson as the club’s first woman president in its 90-year history. “The club has had its financial challenges in recent years, but with Nerida at the helm, and with a new board, we are optimistic about the future,” said Chirio, who has completed his three-year tenure as president. A high profile barrister and the 2014 Queensland Regional Woman Lawyer of the Year, Nerida Wilson received two thirds of the member vote in a contested election at the December 2013 AGM. “I hope the election outcome is an indication that members see in me qualities they feel will benefit our club and take it in a new direction,” she said. “I served as vice-president in 2013 during a challenging apprenticeship and members had a chance to observe my capacity as a director before voting. “The result represents an enormous changing of the guard and it’s absolutely not about gender, although that need not be ignored. Nerida says she wants to see the club become “more inclusive, to trade profitably and become environmentally sustainable”. “I am fortunate to chair a new board of talented directors who are committed to revitalising our club and our venue after a long period of renovations and financial challenges,” she said. 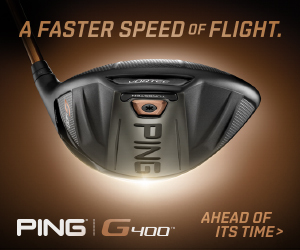 “It will be more than just a golf club. I hope in time our venue will be a sporting and social hub for the local community and appeal to a cross section of gender and ages – whether they want to play golf or utilise our venue for events, or simply choose to come here for a drink and a meal. “I want us to be seen as inclusive rather than exclusive. “We hope to shake off a perception that our venue and our club is only relevant and of value to playing members or that we are an exclusive member club that is closed to wider community. “We are open for business, family friendly and are no longer insular. “We are a legitimate alternative to other venues for weddings and other functions. Nerida acknowledged the outstanding efforts of the club’s staff, who have played a vital role in ensuring the club’s daily operations and services continued to tick over in the absence of a general manager. “Our staff members have a real sense of ownership and belonging and many of them have been with us for years. The good news is the club has just appointed a new general manager Matt Bolton who joins the club in March. Nerida believes “40-something” Matt will bring experience and vitality to the role after his many years as marketing manager for the Taipans NBL team, and his most recent experience as a hotel manager. As for the course, Nerida sings the praises of Superintendent Brendan Clark. For the past five years, Brendan has worked his magic and his goal is to make the golf course one of the best in the land. “I share Brendan’s vision that our course attracts top-100 status,” Nerida said. “We are working very hard to try to get it there. If Nerida has her way, golfers won’t be the only people to enjoy the course and picturesque surrounds. “One of the real hopes I have is we are not only going to be sustainable as a business model, but that we are going to be environmentally sustainable. “For the first time, we are formulating a water management plan and hope to open up the course to the community for activities other than golf – such as plant and bird identification and perhaps even a collaboration with our local Botanic gardens. “We employ Michelle Musgrave as a full-time horticulturalist and her hard work and knowledge has been invaluable to the outstanding improvement in course presentation and beautification. “We hope to create wetland areas to attract native species and offer public walks through the golf course. Attracting more juniors and women golfers is also high on Nerida’s agenda. “I would hope at a golfing level that we would reinvigorate juniors and women,” she said. “There needs to be continued efforts to attract boys and girls and the development of women in golf. “Our club pro Darren Golder and his assistant pros Jason Roach and Rob Dehne have devised a number of programs specifically around juniors and women and those programs are now starting to bear fruit and attract attention. “The board is so impressed with the work Darren and Brendan are doing within their own departments we have for the first time nominated both in various categories in the upcoming Queensland Golf Industry Awards. Speaking with Nerida, it’s not hard to tell she is passionate about the club’s future, but I was keen to find out more about her golf and outside interests. “I was born and raised in Cairns and didn’t take up playing golf until I was 30,” she revealed. “My parents were members of the Cairns Golf Club, but they dissuaded me from picking up the clubs too early and encouraged me to play team sport,” said Nerida, who plays off a seven handicap. Nerida captains the women’s pennant team and has aspirations of winning the club championship. A keen hiker and with a strong interest in the environment, Nerida recently returned from Tasmania where she completed hikes in a number of Alpine areas and Maria Island. “I enjoyed the hikes very much and I have returned home committed to seeing more of my region on foot, if I am not playing golf,” she said. “I was struck by the beauty of areas such as the East Tarn Shelf, Lake Webster and Hartz Peak in Tasmania and of course Maria Island. “I have invested in a new backpack and my hope for the year is to find time to regularly put it on and head for the hills.